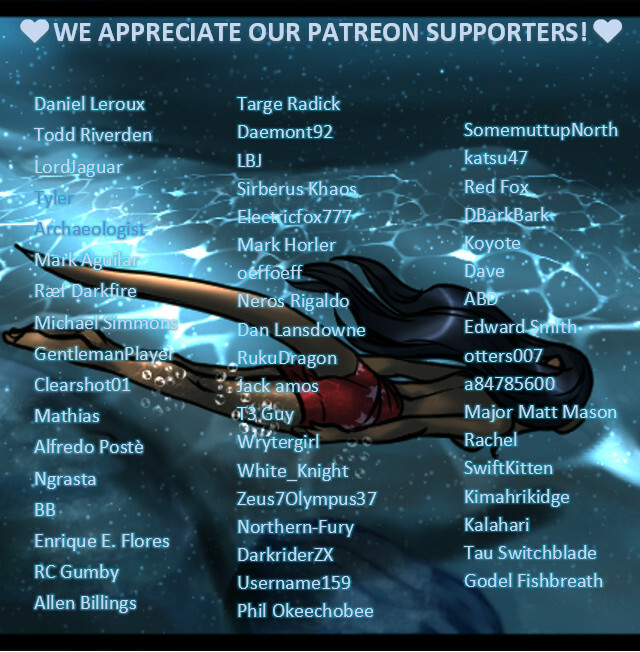 Speaking of this crew, we have some Patreon people to recognize for this page, and their thanks for letting us use their characters, and for their support. First we have Masterofwolves, who owns Maku, the long blue-haired mer-wolf/wolf. Secondly, Tyler, owned by Rhexxy, whom we’ve seen before, and that blue-shaded wolf there keeping an eye on Kalea is Neros, belonging to Neros Rigaldo.